Currently trending~ high buns. 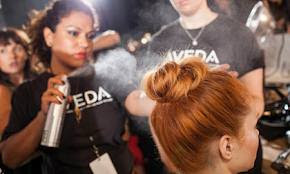 You too can create this look with Aveda's Air Control. Be Fashionable without hurting the Earth's climate. Aveda Full Spectrum Color. 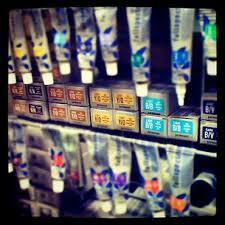 Our Aveda color line is up to 97% naturally derived. What does that mean? Customizable color without damage. Schedule your consultation today with one of our trained Aveda colorist. Janell Geason with model demonstrating makeup how-to tips onstage.